Beet season has begun! Ahhh beets...so gorgeous, so fun to grow...so earthy. To some people "earth" is a pleasing taste. But to others it's....not their thing. In my personal quest to love eating beets as much as I love growing them I stumbled upon the incredible blog, Fig and Fauna. It's simple perfection. 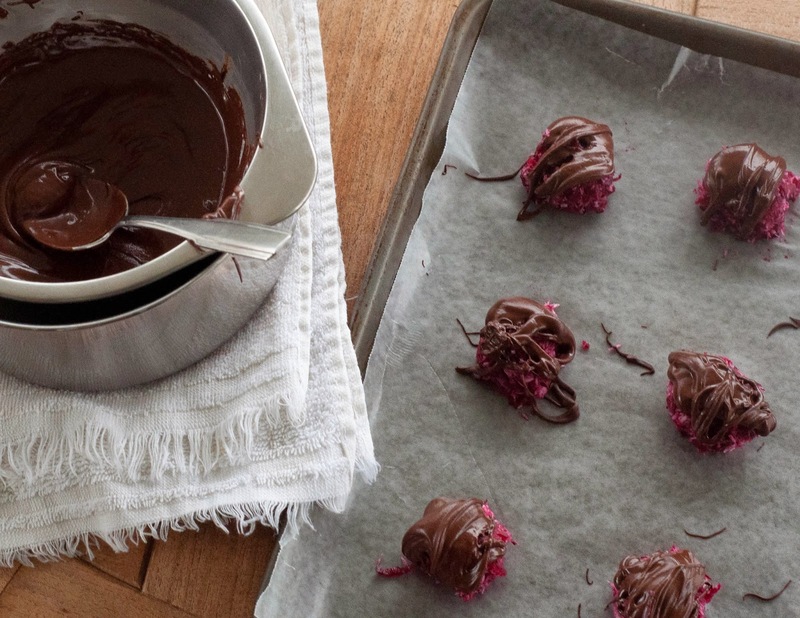 Beets are normally a savory item but truly lend themselves nicely to a sweet treat. And for those of you who aren't into "earthy" the combination of coconut, honey and chocolate in Fig and Fauna's Beet Bon Bons cuts the earth flavor. 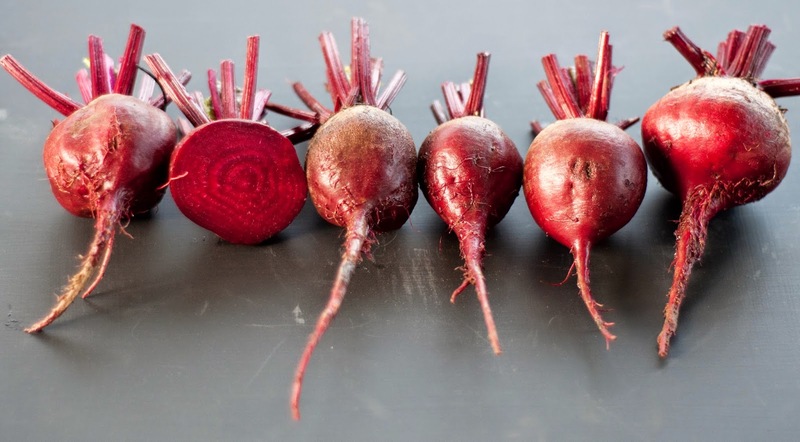 Wash, peel, and grate beets. Strain grated beets with a cheesecloth, or if you're like me, just grab a handful and squeeze out as much juice as possible. Combine beets, coconut, and honey in a bowl. 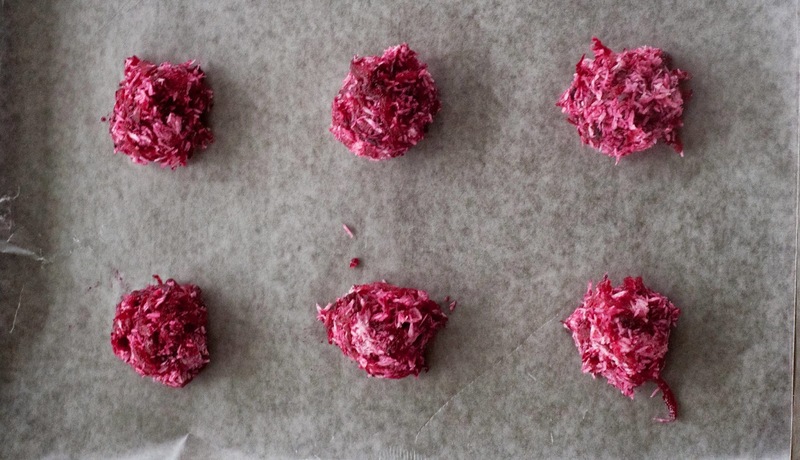 Form into balls with the help of a spoons (this will not be perfect like cookie dough...not to worry) on a cookie sheet lined with parchment paper. Place in the refrigerator for 15 minutes while you begin to melt the chocolate. 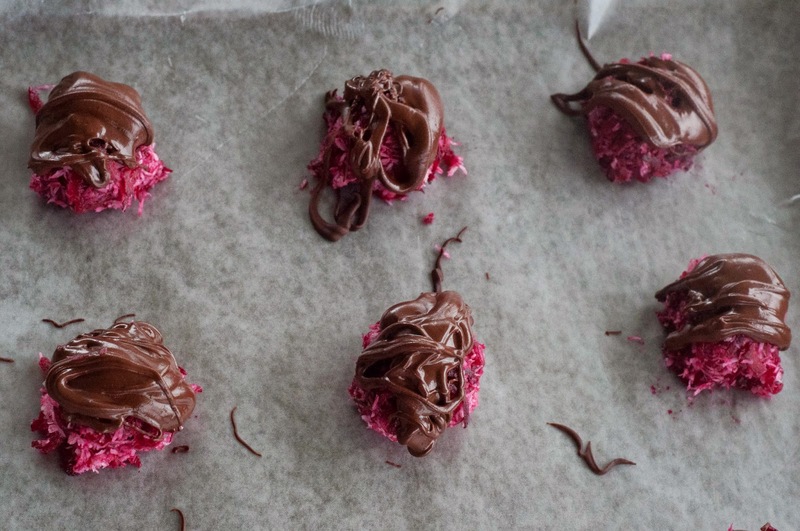 With a spoon drizzle chocolate over bon bons. Place back in the refrigerator to set for 10-15 minutes.